We Clean. New Corporate id & company brochure. 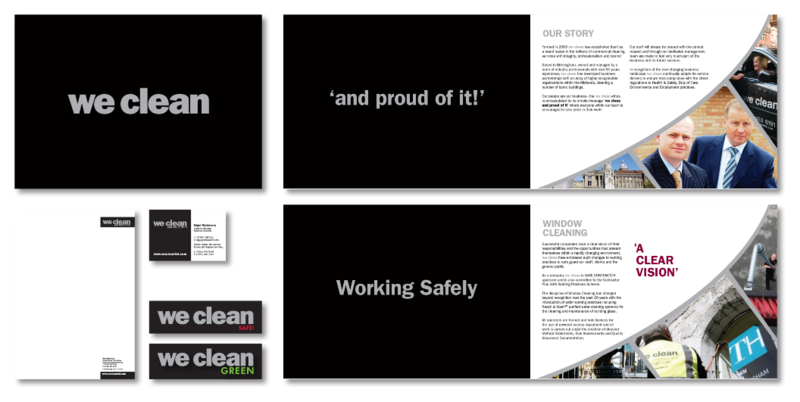 We Clean commissioned think!creative to update their brand identity. This had become old fashioned and required updating. The new look needed to remain recognisable to existing clients but create a clean, modern image that mirrors the company's ethos and approach to business.